Mimovich plaque, a photo by Hecuba's Story on Flickr. 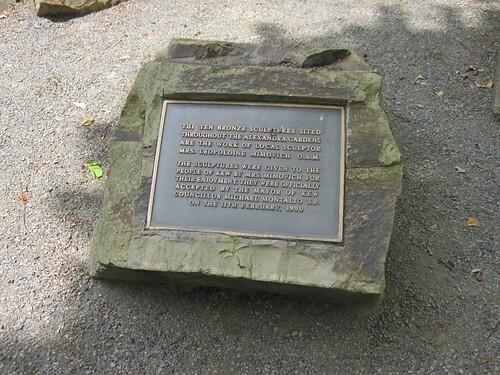 As a followup to the post yesterday about Alexandra Gardens in Kew here is a photograph of the actual plaque in the gardens commemorating the gifting of the Mimovich sculptures to the City of Kew. It's a lovely day today so I hope some of you find time to visit and spend some time in Alexandra Gardens.